I've recently been asked to make a birthday cake by one of my daughter's friends. She has requested a red velvet cake. 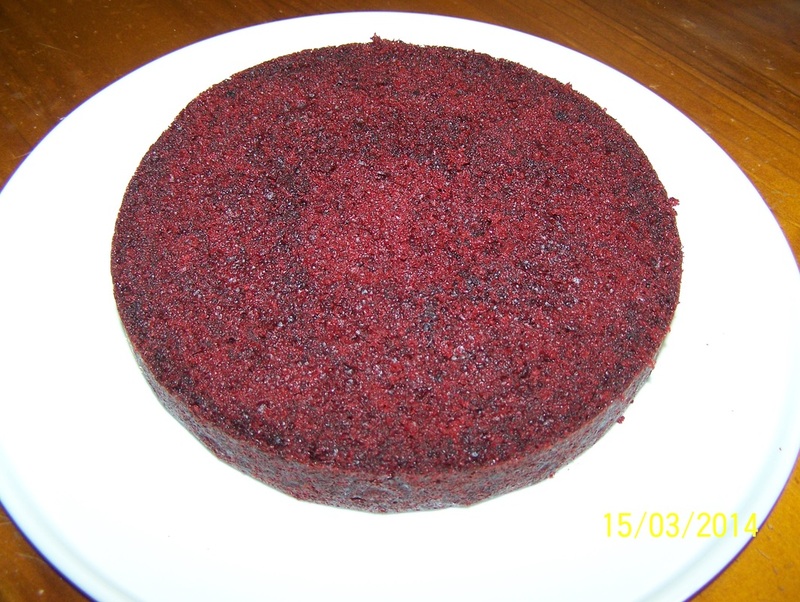 I have only ever attempted a Red Velvet Cake once before and was not completely happy with the cake. My dilemma with this cake was trying to soften shortening, it just wouldn't soften, no matter how long it stayed out of the fridge. I made the cake in the end, but the shortening was lumpy in the batter. The lumps were not in the end result, as they had melted, but I still didn't like it. So now I had to find a cake that I liked that didn't have shortening, that I could make for this party. 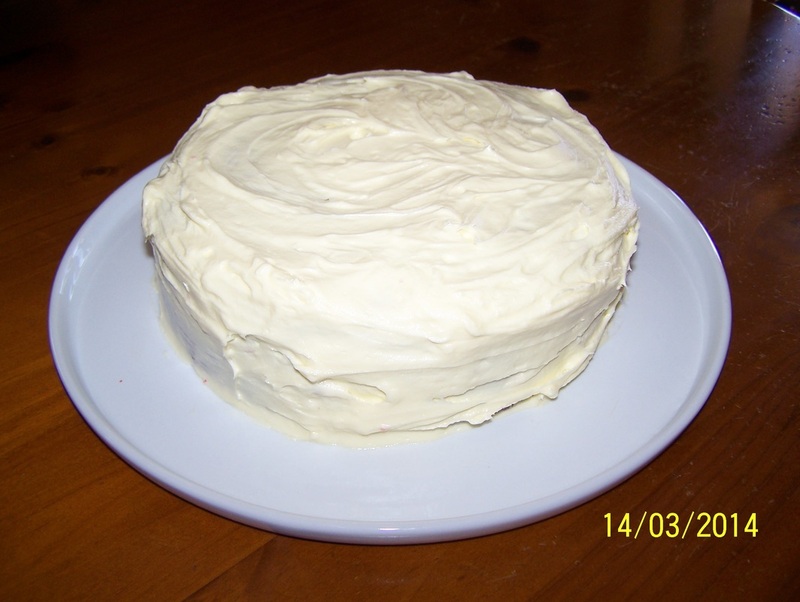 So over the past couple of days I have cooked Red Velvet Cake. The first one I threw in the bin, as soon as it came out of the oven, it just completely collapsed in the middle. The second one I made, was much better, but it still sank a little. I still iced it and had my kids and some friends try it, the flavour was good, but I wasn't happy with the slight sink it had, I can't serve just okay cakes for a party. Also with this one I felt I could taste the bicarbonate of soda in the cake. No one else could, it seems to only be my issue. So still not completely happy I now was on a hunt for a Red Velvet Cake that had no shortening and no bicarbonate of soda. Then I came across this Donna Hay recipe. Over the past few months I have had great success with her recipes, so I made this with confidence that it should be the cake I love. And it was. 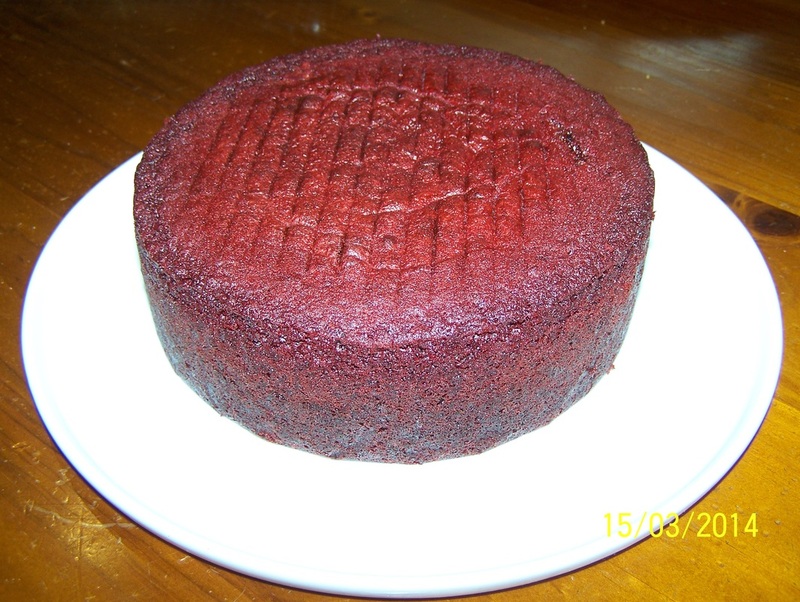 I loved the height you get in this cake, I love the deep red colour it gives (sorry to the anti red food colouring people out there, I also don't normally add this much colour to a cake), the cake is soft and spongy. It baked perfectly, I was happy. So I had to get my kids and the same friends who tried the first cake to now try the second. It was a hit all round. 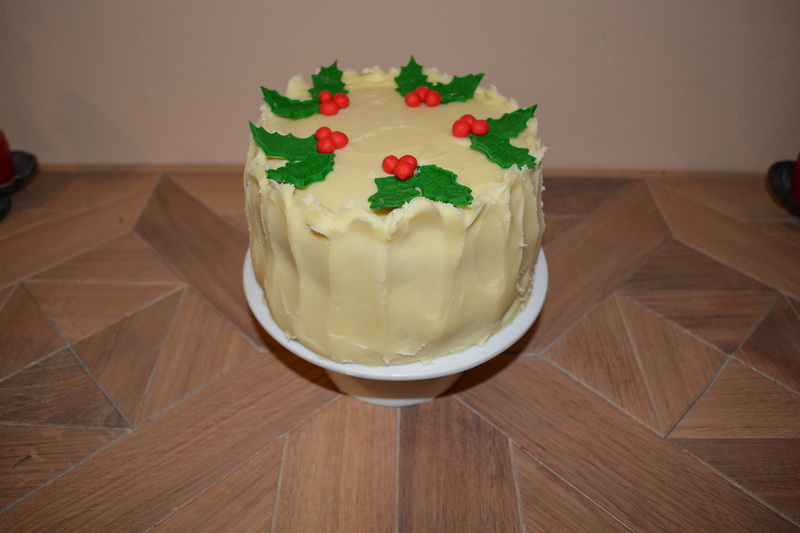 I have made this with the traditional Cream Cheese Icing, Donna Hay's recipe has a Marshmallow Icing. So if you don't like Cream Cheese Icing, use the Marshmallow Icing on her site or you could use a White Chocolate Ganache. Preheat oven to 160C. Grease and line the base and sides of a 20cm round cake pan with baking paper. Make sure the baking paper extends 5cm higher than the tin. Using a large bowl of an electric mixer, place the butter, sugar and vanilla, beat on medium speed for 8-10 minutes, scraping down the sides every few minutes, until the mixture is pale and creamy. Add the eggs one at a time, beating well after each addition, scraping down the sides after each addition. Add the flour, cocoa, buttermilk and food colouring, beat on low speed until just combined. Spoon the batter into your prepared cake tin, spread it out gently and smooth the top with a spoon or palette knife. Bake for 1 hour and 20 minutes-1 hour and 30 minutes or until cooked when tested with a skewer. Allow to cool in the tin for 10 minutes before turning out on a wire rack to cool completely. In a large bowl of an electric mixer, cream the butter and cream cheese together until light and fluffy. Add the vanilla, beat in to combine. Add the icing two spoonfuls at a time, beating until light and fluffy. Scrape the sides of the bowl every now and then when adding the icing sugar. Use a serrated knife, cut the cake in half horizontally. 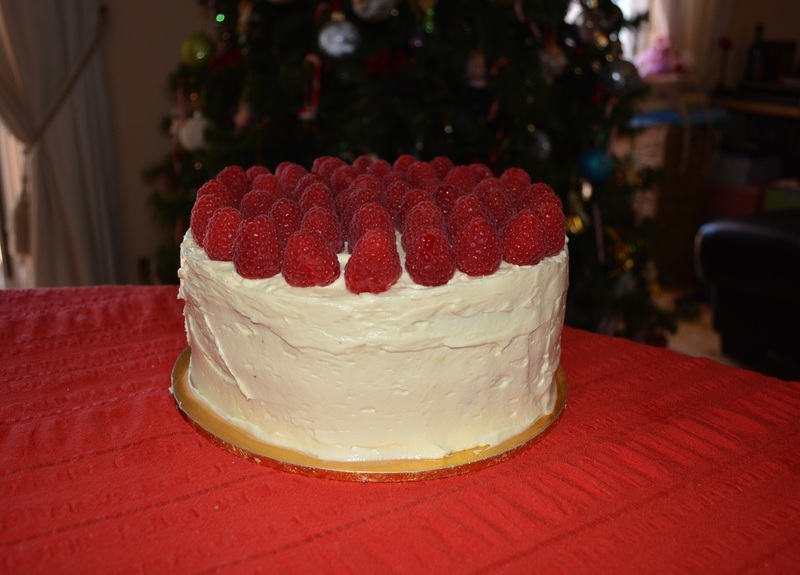 Place the bottom layer on a serving plate, cut side up, spread with the cream cheese icing. Top with the remaining cake, ensuring cake is cut side down. Spread a thin layer of the icing all over the cake. Refrigerate for 20 minutes, this will stop all of the crumbs from going into the icing. Once the thin layer has set, spread the cake all over with the remaining icing. Refrigerate until the icing has set. This cake I iced with a white chocolate ganache instead. It was lovely. 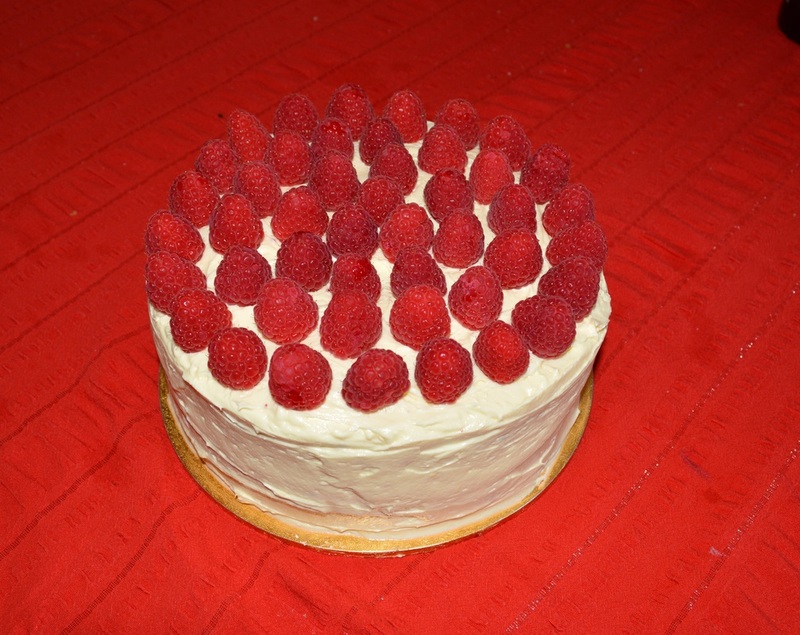 Covered in a cream cheese icing, topped with raspberries. Just lovely.